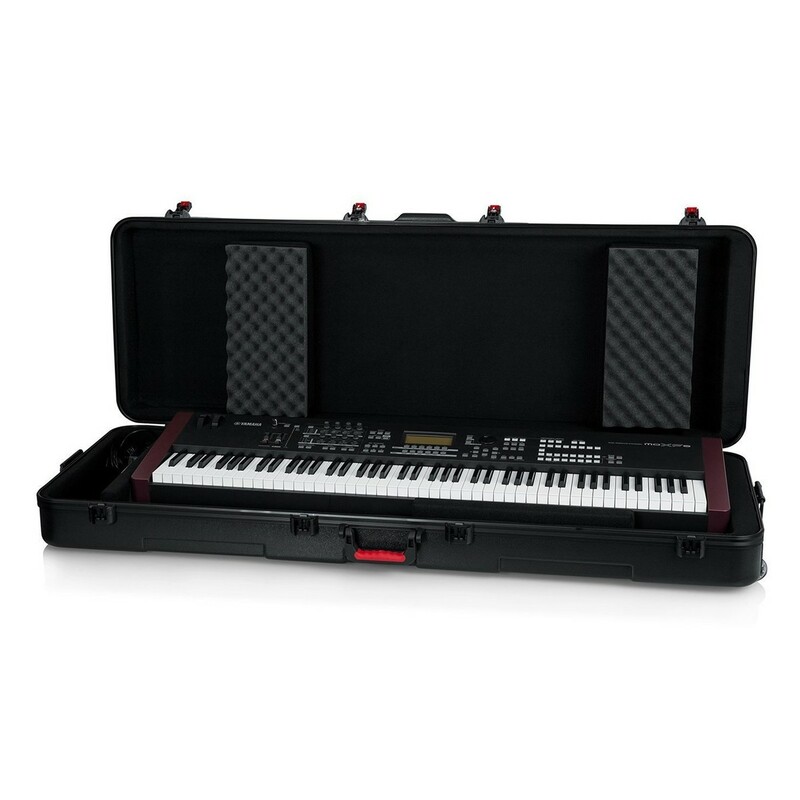 The Gator GTSA-KEY88D ATA TSA 88-Note Keyboard Case has been designed to help travel and protect your 88-note keyboard. The GTSA keyboard case has been manufactured with nearly indestructible polyethylene construction for exceptional protection and durability. 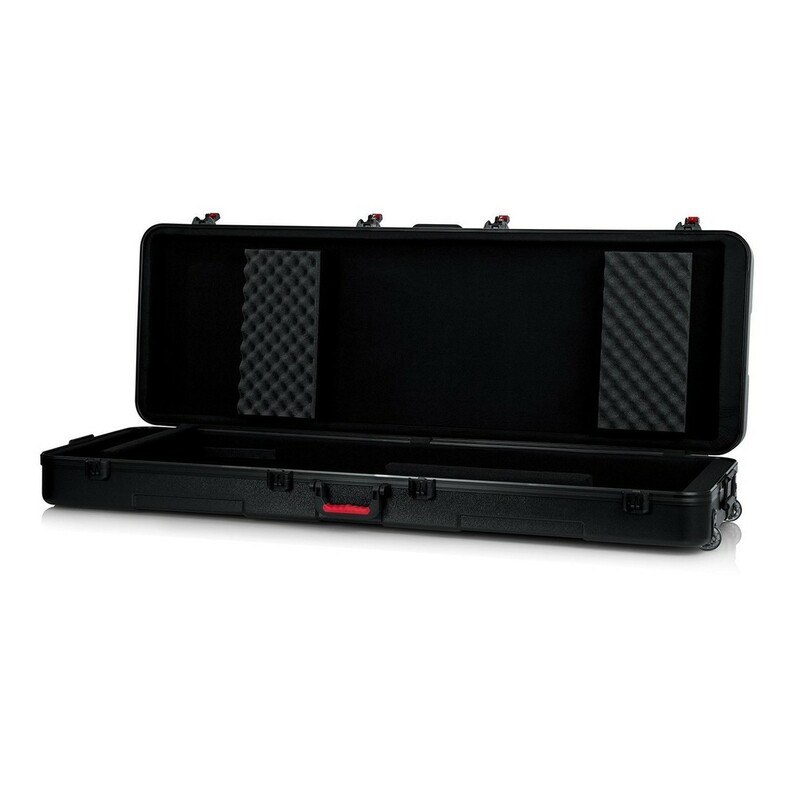 This case features a unique block and wedge design for interior customization. You can use this interior customization to achieve the perfect fit for your keyboard. 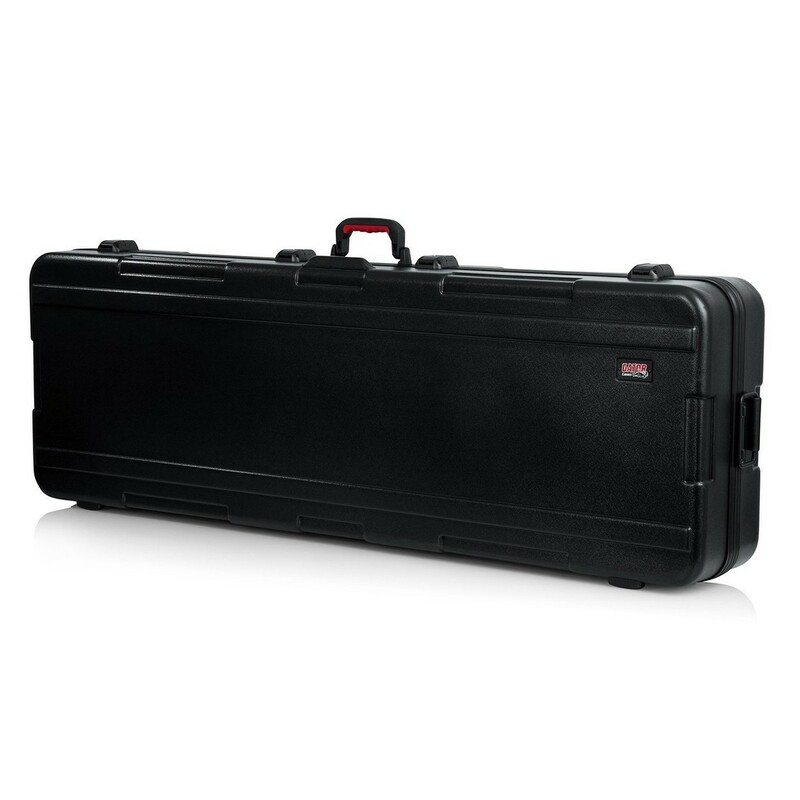 This case has a surface mounted impact diversion latch and red release trigger for extra security and durability. 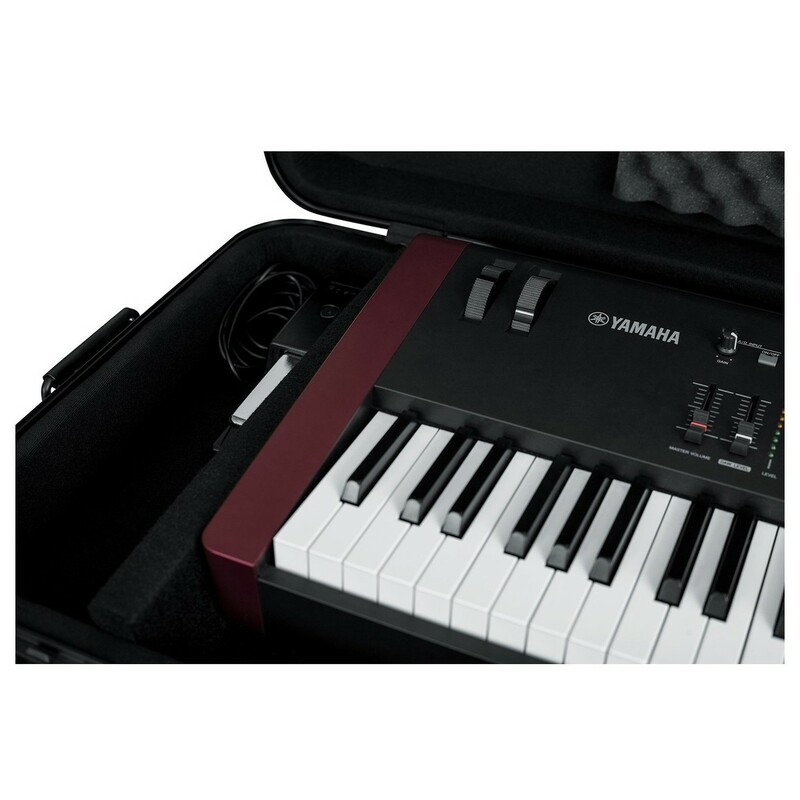 This 88-note keyboard case features recessed wheels and 2 spring reloaded rubber grips. The case's black powder coated hardware and continuous valance provides added durability for a durability. 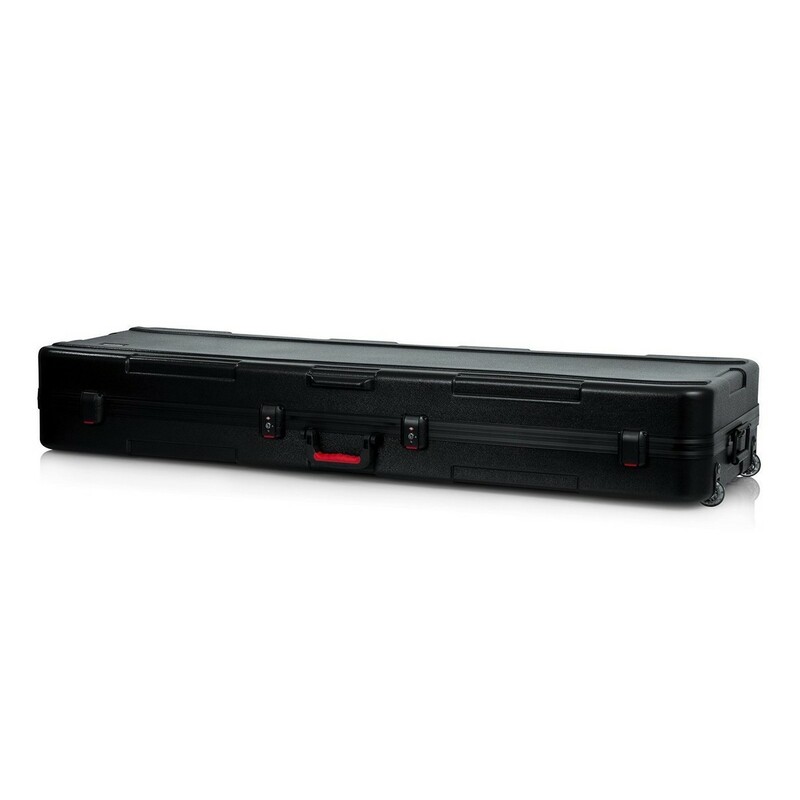 Please Note: The Gator GTSA-KEY88D keyboard case does not included the keyboard(s) shown within the case. Two TSA approved locking latch for increased durability and security, making the case ideal for air travel. Nearly indestructible polyethylene construction to ensure that your keyboard is completely safe. Ergo-grip top handle for a comfortable hold. The exterior of the GTSA case is designed with a black powder coated continual valance, adding style and structural strength. 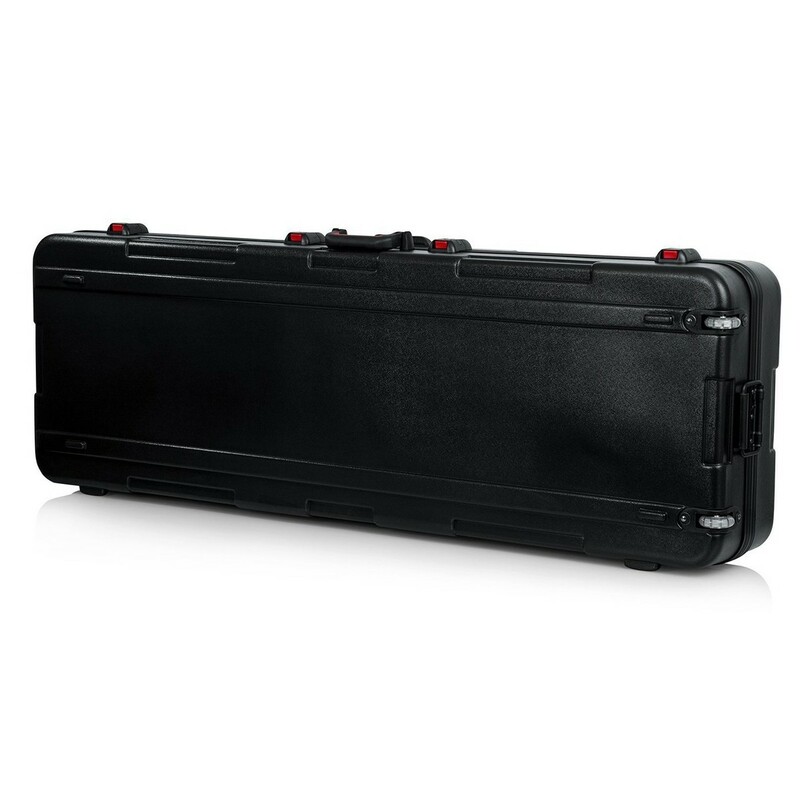 This keyboard case features 2 spring loaded rubber grip handles and recessed wheels for smoother and easier travel.